The VM-16RT Video Multiplexers have multiple grid display modes such as single camera, dual camera / split screen, quad camera, 8 channel grid and so on. In this article, we will be configuring the 8 channel grid, specifically how to change which camera is in the large display portion. 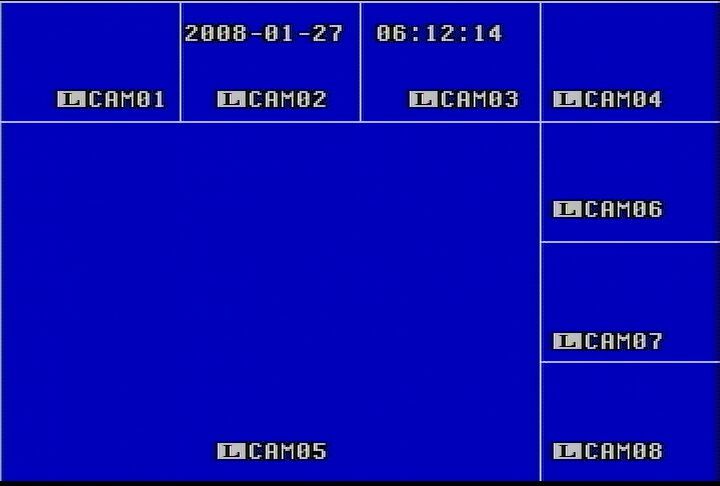 The information below explains how to change the camera that occupies the large portion of the 8 channel grid mode (One large surrounded by 7 small). First, on the handheld remote provided with the VM-16RT, press the 8 channel grid display button located in the upper left ( Labeled 1 Below). Then press and firmly hold the Enter button until the channel numbers start to flash on the screen (Labeled 2 Below). Now press the Right button (located to the right of the enter button), this will allow you to scroll through the cameras until you get the desired camera into the large portion of the grid (Labeled 3 Below). Finally, press Enter to lock in the settings.